Successful completion of this course will lead to certification with PADI as an Open Water Diver, which enables you to be able to rent gear and safely dive whenever and wherever you’d like. Give us a call at Exotic Aquatics Scuba & Kayaking (206) 842-1980 if the calendar is not showing the class that fits your needs! We’ll be happy to tailor one to your scheduling desires! Signing up for our course can be a little confusing, so please follow the below steps. 1) Read through the course description below for an idea of what this course involves. 2) Check our posted dates for the next class below. We post dates as we get exact pool times reserved, but we have classes every month of the year, usually 3 Wednesday evenings, and a full weekend. Private classes can be arranged to your schedule for an additional fee. 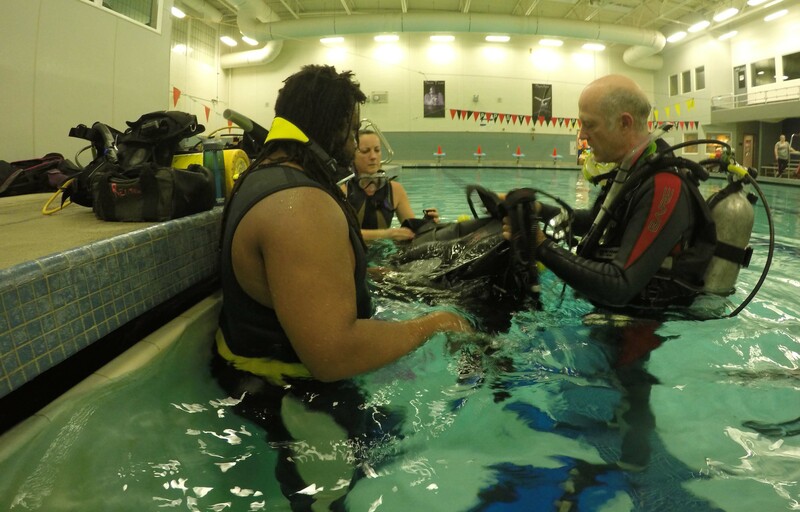 3) Please download the Medical Waiver and answer the Divers Medical Questionnaire. If you answer yes to any of the questions, take the waiver to a physician and get approved before submitting payment. 6) You’ll need to sign up for and complete the PADI Open Water eLearning before the first pool session. Requires an additional fee paid directly to PADI. 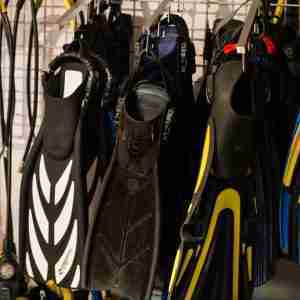 7) Before the first pool session, we need to see you in the shop to get you fitted out in the proper gear, fill out needed paperwork, and do an equipment orientation. Please give us a call at (206)842-1980 and arrange a time to come in. Plan on it taking about two hours. 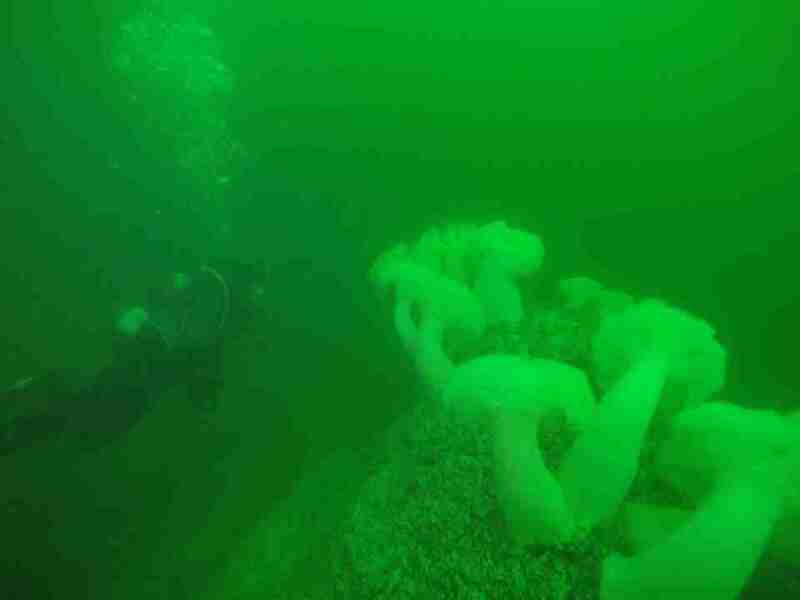 Excited to go SCUBA diving? Successful completion of the Open Water Diver certification requires finishing the online PADI Open Water Diver eLearning before the first pool session. Please click here to get signed up for the online course after you’ve reserved your class slot with us. 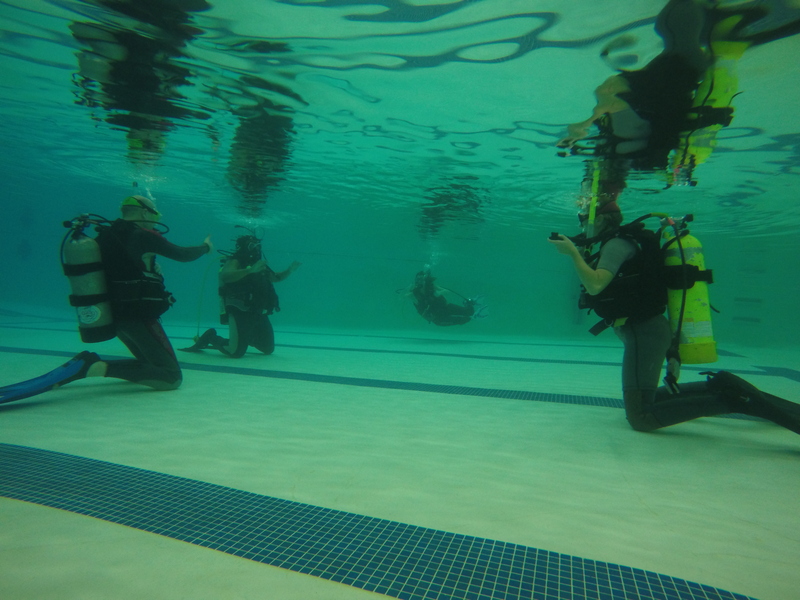 The eLearning is followed by 3 confined-water dives (pool sessions) where you’ll get familiarized with all the equipment, and basic skills are taught and practiced in the safety of the pool. 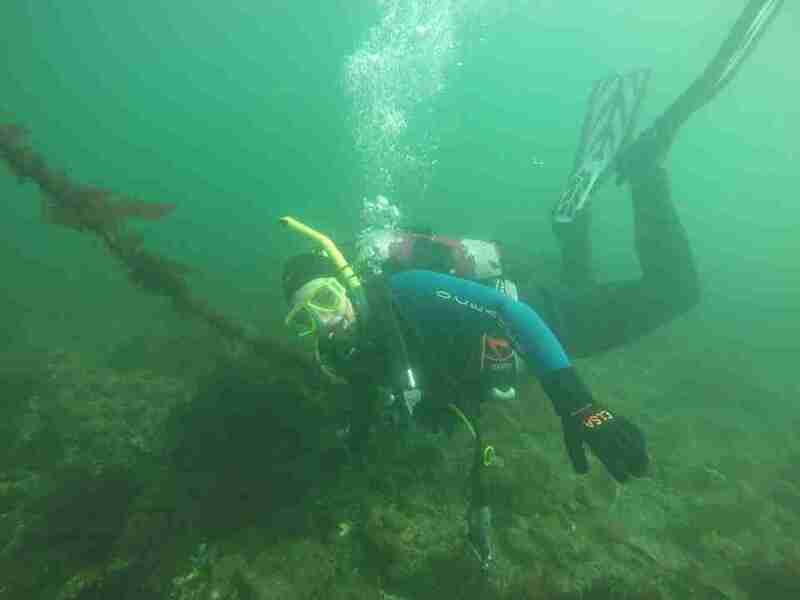 To finish up the course you’ll complete 4 dives over two days in the open water of the Puget Sound. 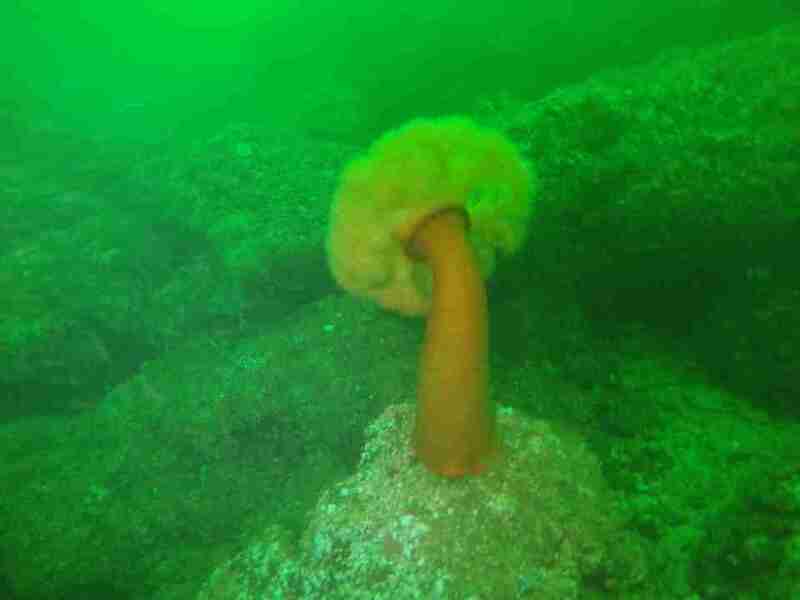 This will be your first chance to see all the amazing wildlife hiding just below the surface, from enormous plumose anemones to the Giant Pacific Octopus. Then you’ll be ready to sign up for the Advanced Open Water class, where a variety of specialized skills are taught and mastered. Open water students get $50 off the AOW tuition if they sign up within 30 days of OW completion. E-learning is done within the comforts of your home while the Orientation session is held in the Exotic Aquatics Classroom. Pool sessions (a.k.a. 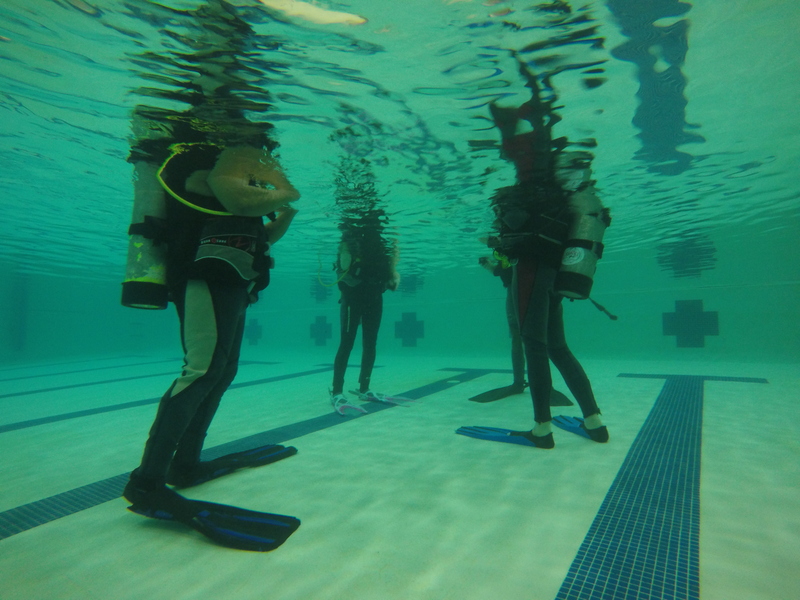 confined water training) are held at Bainbridge Aquatic Center or the North Kitsap pool in Poulsbo. 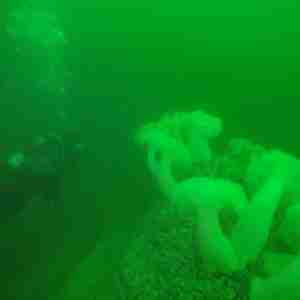 Open water check-out (a.k.a. 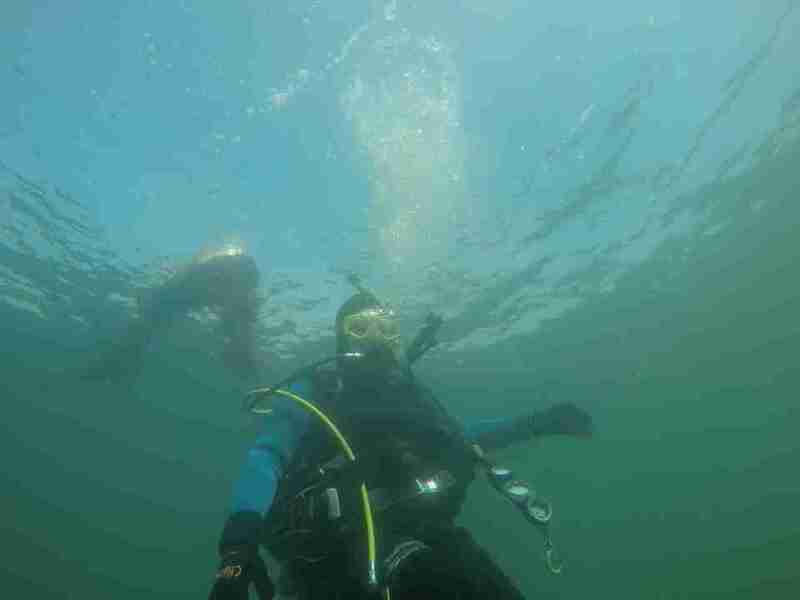 Open Water Weekend) dives will be from the shore, site dependent on weather. This course is designed for ages 10 to Adult in good physical condition. Those 10* to 14 receive Junior Open Water Certification, those 15 and older receive Open Water Certification. *Extra sessions are involved for individuals 10-11 years of age. Please select the Youth class option before adding to cart. The price is increased due to more time needed to properly train young children.